Sardinia 2017: promozione speciale fino al 21 Gennaio! 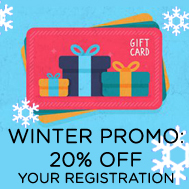 Registrati entro il 21 Gennaio per usufruire della promozione invernale: sconto del 20% su tutte le quote di iscrizione. I soci IWWG hanno diritto ad un ulteriore riduzione del 10%! To receive the discount make sure enter the code gift card 30 during the check-out procedure. Read the full list of titles and get your copy! 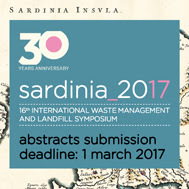 The call for abstracts for the Sardinia 2017 Symposium is now officially open. 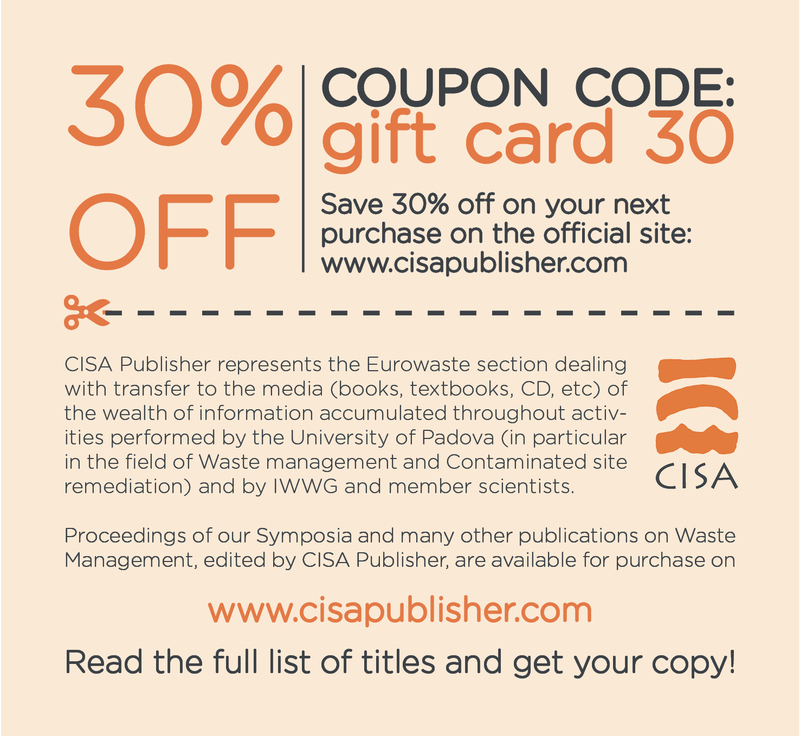 Don’t miss the opportunity to submit your abstract to one of the world’s leading events in the field of Waste Management and Landfilling.